Oddly, the press room at an industry event is not a good place for press releases, nor for press relations people to hang out. It’s where writers go to write, for the most part. Some press rooms have stacks of press releases that journalists can grab if they want, but the pros rarely do. Bonus Tip! You see all those MacBook Airs that we’re writing on? Yeah? Then why did you put a CD in your press kit, and not, say, a USB stick? Mega Bonus Super Score! 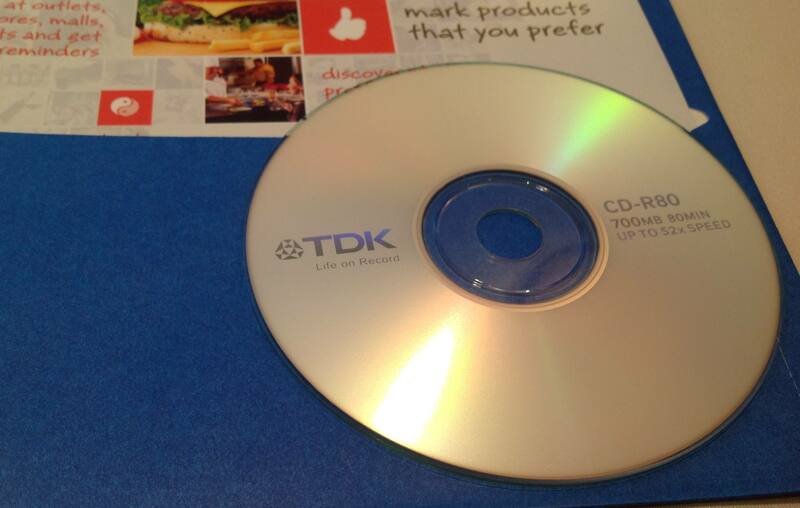 Good job not labeling the CD, either. Pro PR Tip #111: Fling. News.com coverage from MobileBeat: Zynga CEO on future of Mobile. Yow! I made it to Pro PR Tip #200! I’d like to thank all the hard-working PR professionals who’ve managed to screw up and make this blog possible. You guys rock. Tip #187: How do you quantify lack of focus? When you’re demoing your mobile app, it is OK to not show me how the user changes units of measurement from Metric to Imperial. Really. I dialed into a conference bridge yesterday to interview a startup CEO. The conference call robot told me, “There are five people already in conference.” That’s right: One guy to talk and demo, and four generic PR handlers to listen in. I felt like a patient in a teaching hospital. Also, I don’t think the PR people liked it when I told the CEO, “Dude, you’re being overcharged.” But, man, four handlers for one little reporter interview? Come on. Tip #152: You and what army? To learn about a new company or product, the only person I really want to talk to is the CEO. It may just be me, but I like to focus on just one person during a pitch. So if the CEO is at the meeting, the presence of the COO, and the VP of something-or-other, and the PR flack too is simply distracting. One chaperone should be enough. See also, Tip #32, Hush, Now.